"I'm really happy I found this place everyone made me feel comfortable." " I have nothing but good things to say about Dr. Allen and his practice." "Dr. Allen is an amazingly thorough doctor. He spends as much time with you as you need." "Staff is very personable and attentive. Dr. Evan Allen offers medical care and treatment at Total Care Family Practice in Henderson, Nevada. From physicals to body sculpting and heart disease, Dr. Allen provides a broad range of services for patients to help them stay as healthy and happy as possible. Dr. Allen earned his medical degree from Loma Linda University Medical School and completed his residency at Travis Air Force Base, located in Fairfield, California. When he graduated, he received the Goff-Hougas award. Dr. Allen served in the Air Force during this time and spent two years after graduation at Nellis Air Force Base. After achieving the rank of Major in the Air Force, Dr. Allen focused on providing medical care in clinics in southern Nevada. Dr. Allen served as Director of Primary Care at Fremont Medical Centers before deciding to open his private practice. Total Care Family Practice, which opened in June 2007, has grown considerably over the years under the guidance of Dr. Allen. As one of the top family physicians in the U.S., he’s fully committed to providing families with the care they need. Dr. Allen is fluent in English, Spanish, and some Turkish. He also speaks German to a limited degree. When he’s not providing care for patients at his clinic, he watches football and basketball. He also enjoys staying active by playing racquetball and expanding his knowledge by studying biology, psychology, linguistics, philosophy, and history’s classical period. 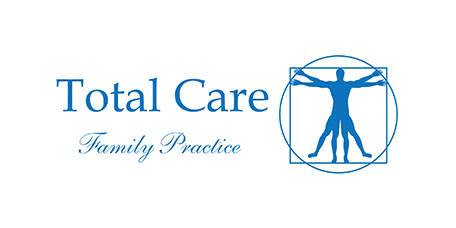 Total Care Family Practice has been providing comprehensive inpatient care to patients in Henderson, Nevada. With many years of experience and local hospital affiliations, patients can rest assured that they are receiving high-quality care from a team they can trust. "I dropped a whole size!" It is recommended to have preventative visits each year to ensure the proper screening exams are ordered for optimal health and disease prevention. Heart Disease generally refers to the condition that involves a narrowed or blocked blood vessel that can lead to a heart attack, chest pain or stroke. Chronic Obstructive Pulmonary disease (COPD) is a chronic inflammatory lung disease that causes obstructed airflow from the lungs. Allergies occur when your immune system reacts to a large foreign substance – such as pollen, bee venom, or pet dander – that doesn’t cause a reaction in most people. Obesity is a complex disorder involving an excessive amount of body fat. Sleep apnea is a serious sleep disorder in which you’re your breathing repeatedly stops and starts. A balance disorder can make you feel dizzy or unsteady. It may result in falls. Chronic pain is any pain that has lasted any length of time. To help reduce the pain in a given area our providers are trained to provide both Trigger Point Injections and Bursa (joint) injections under the guidance of ultrasound. Total Care Family Practice accepts most major health insurance plans. Once you have confirmed your insurance plan's acceptance, we will be happy to process your insurance claims for you. Please bring a copy of your current insurance card and a Photo ID that matches the last name as the name on your insurance card. If you do not see your insurance provider please contact our office.